NOTICE! Future Precaution for Present Apocalypse is a video lesson pseudo-narrative on how to turn your 9-5 office building into a doomsday bunker. False Transcription (Marikina City) is a digital environment exploring personal FilAm diaspora through filmset. 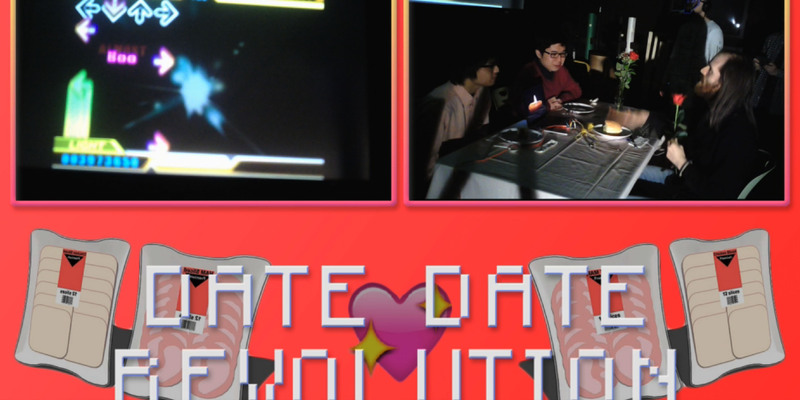 DateDateRevolution is an interactive installation where the player must use their environment to date and dance at the same time. The Merchant Is Present is a pop-up shop where the merchant is there but never does business with you. LIMITED TIME ONLY (ORDER NOW) is an infomercial and playdate on hand-me-down and used toys. some time. is probably a video poem on maybe being able to do something or other at any point in time. CRAIG IS DEAD is a facebook-based funerary community commemorating or mourning the passing of Craig/me/myself/I/him. Age Is Just A Number (Youth Full) is a year-long lie where age doesn't matter anymore.